Did you think it would get any easier? Well, now you’ve done it. Instead of fixing things first, you outsourced your processes almost completely intact. The result? Your junky processes are now in the (hopefully) capable hands of your lower cost vendor and, not surprisingly, the outcomes are the same. While it is quite possible that you took the time to image and digitally distribute your previously paper-based processes, there’s nothing remarkable about a digitized bandage hiding a poorly performing, wounded process. 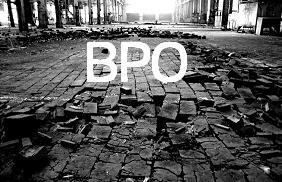 Worse yet, there are few things more restrictive than your IT organization’s standard prioritization process – and one of those “things” happens to be your 300-page multi-year outsourcing contract. What can you do you? The “Lift and Shift” outsourcing paradigm is a choice of many companies for several reasons. It speeds transition, so labor arbitrage savings can be quickly delivered. Conversely, vendors frequently recommend it because revenue can be quickly generated and the implementation risks are minimal (Remember the multi-phase pitch they gave you?). Some clients believe that their vendors are more capable of turning things around than internal resources. Lastly, a thoughtful, very small minority of companies reinvests the initial labor arbitrage savings into innovation. For these reasons, and many others, you are not the only person facing the task of transforming a recently outsourced function. In fact, the overwhelming majority of companies need to tinker with recently outsourced processes to some degree. Unfortunately, few have come to grips with the situation. Fine, fine article! You summed up so many experiences here - well done, Anthony.